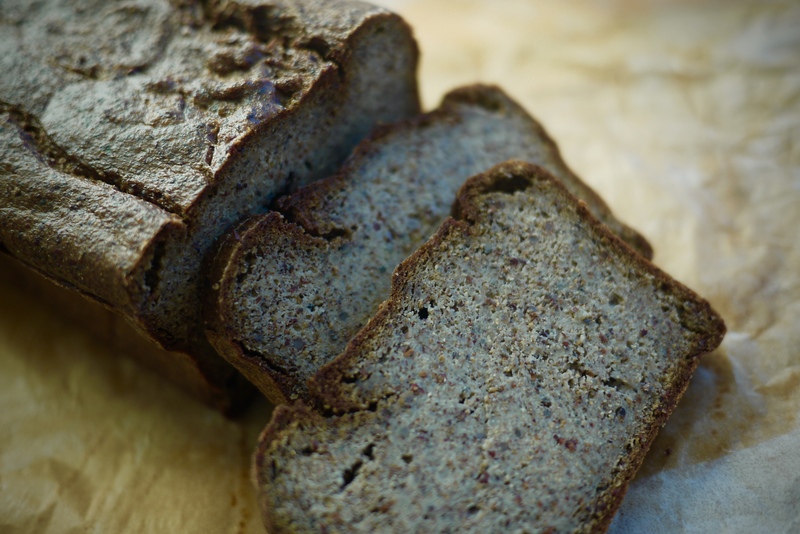 Gluten free, vegan friendly, low in starch, high in protein, low GI, this is a super loaf features uniquely nutty flavours of protein rich quinoa and all the benefits of chia seed, a good source of fiber and Omega-3 fatty acids. 1. Pre-soak quinoa in plenty of water overnight in fridge. 2. 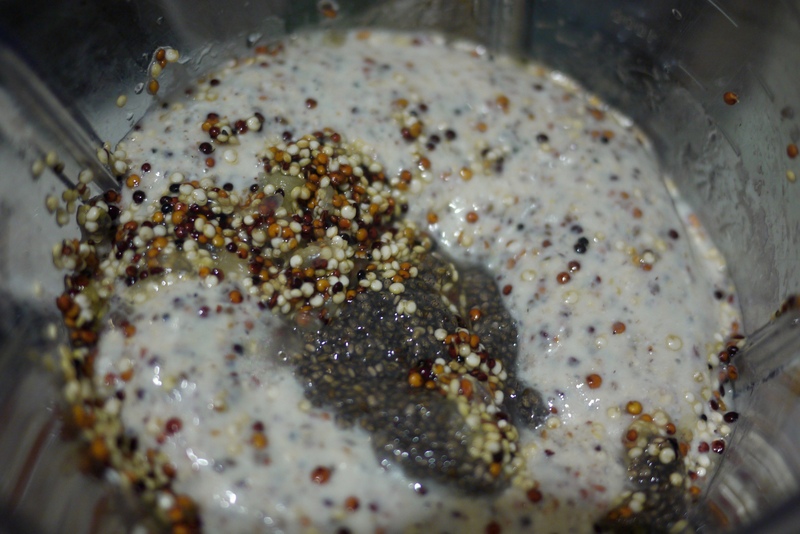 Pre-soak the chia seeds in 1/2 a cup of water overnight in the fridge. 3. Preheat oven to 160 C.
4. Drain and rinse the quinoa well through a sieve, making sure water is fully drained. 5. Place in the food processor quinoa, chia seeds, 1/2 cup of water, olive oil, bicarb soda, sea salt and lemon juice. Mix in a food processor for approximately 3 minutes. The mixture should resemble a batter consistency with some whole quinoa still left in the mix. 6. 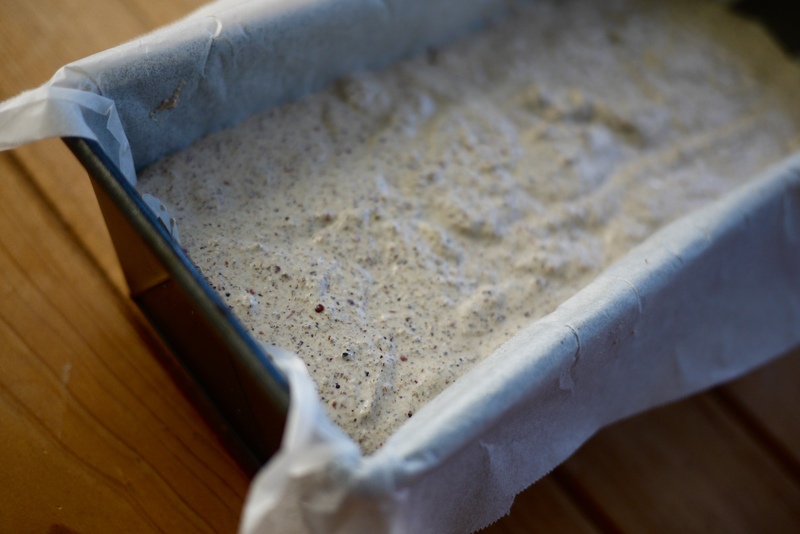 Pour the batter into a loaf tin lined with baking paper on all sides and the base. 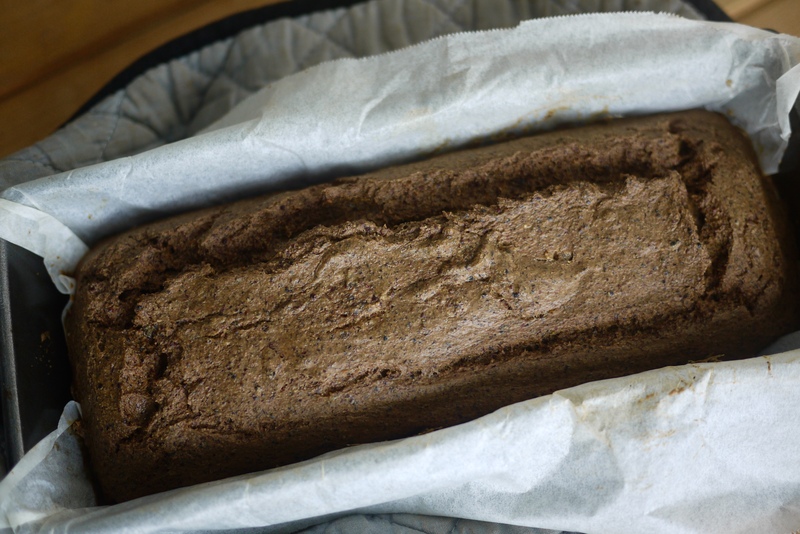 Bake until the bread is firm to touch and bounces back when pressed with your fingers, about 90 minutes. 7. Remove from the oven and cool for 30 minutes in the tin, then remove and cool completely on a rack or board. The bread should be slightly moist in the middle and crisp on the outside. Cool completely before eating. 8. 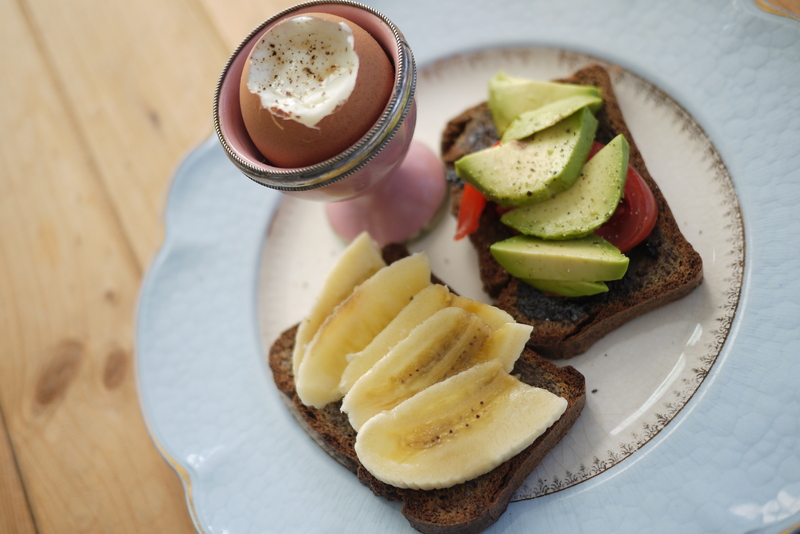 Once completely cooled cut and serve with your pairing. Due to the nature of the bread, I find it best toasted for a little extra chew. Store wrapped in the fridge for up to 1 week or frozen for up to 3 months.